We have just finished trialling these larger ‘plugs’ which the ladies of Sri Lanka make for us. 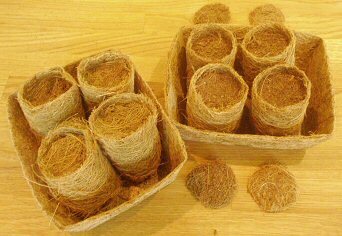 Full of natural coir compost, wrapped in coir fibre and very much hand made, I tried them with both our broad and runner beans,and pumpkins*. Was really chuffed with the results. 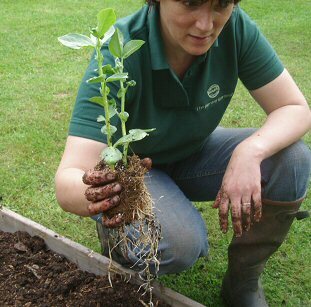 Here I am planting the beans out in our new raised vegetable beds. Joe made them from old pallets which were just going to be thrown away - he does have some uses ! 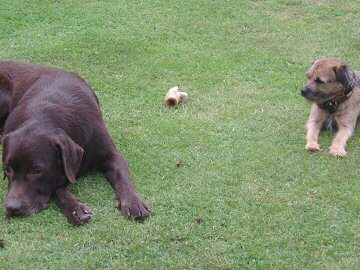 He’ll fall asleep soon - then I’ll bury it ! of some Neem and Seaweed when I planted out. 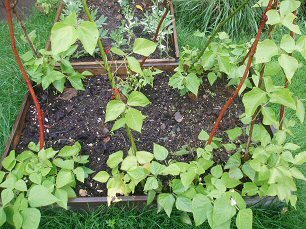 Daisy also grew the ‘Three Sisters’ in one of our sets - Sweet Corn, Runner Beans and French Beans, which gave me an idea for something different to “goody bags” for the next party. * Have you tried Squash risotto - it’s lovely - drop me an e-mail for the recipe. These plugs are over 2” round and just over 3” deep. 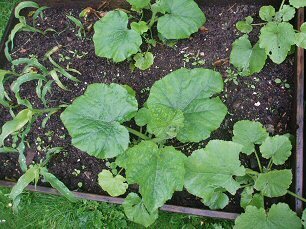 Just take off the ‘lid’, pop in your seed or cutting, water and wait.